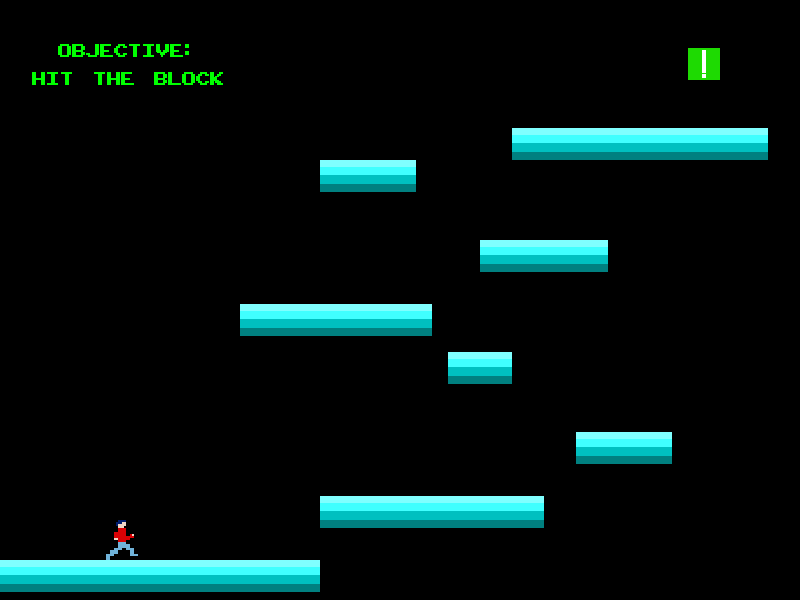 This is the really simple intro level to my 2D re-envisioning of You Have to Hit the Block. Since Game Maker: Studio’s free version only allows for 5 rooms, I sorta have to do the “tutorials” in the levels. Right now it’s pretty simple with no enemies and so forth, but that will change. I know it’s only going to be 4 levels long but this is more of a proof-of-concept than anything else. I should have more to show as we get closer to the end of January (which I know is a whole 5 days away).